If you suffer from Asthma, you know that it is a chronic disease in the airways and lungs. Asthma never goes away but can be treated to keep under control. Airway constriction and inflammation are two main causes of a asthma attack. Asthma Doctors in Michigan can help you receive treatment for your attacks. If you suffer from Asthma or Allergies, Westland Clinic can help you with your symptoms. With their well trained staff of Asthma and Allergy Doctors Michigan, they can prescribe you the proper medication to help you through your allergies or asthma. Westland Clinics professional, clean, courteous staff can help you with any of your symptoms. 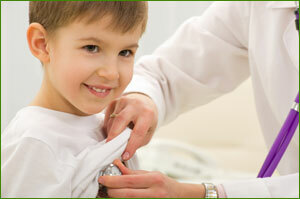 When looking in Michigan for Asthma and Allergy Doctors, there is no better place than Westland Clinic. Don’t hesitate, contact us today, and be on your way to breathing a little easier.